As demonstrated by political and electoral friction among leaders, political parties, and community members that was highlighted in the lead-up to the 2014 legislative election, violence remains a pervasive method to address conflict resulting from political discord in Bangladesh. IFES has designed a project with an objective of decreasing this political violence through educating communities on how to peacefully prevent and mitigate conflict. The aim of this project is to increase the number of peace building events that take place in Bangladesh in order to ultimately decrease Bangladesh’s tolerance of violence. The Hunger Project, with financial support from IFES, has been implementing the PAVE project (People Against Violence in Elections) in 28 urban and rural Upazilas across 4 divisions of the country. Starting in January 2015, 560 peace ambassadors created through 28 PAVE training, 84 peace events, 8 thematic peace events and one national convention have been arranged. Through these events a great number (11,623) of people were reached. Program activities contribute to transform the mindsets of the participants due to increase their knowledge and skills on electoral process and conflict resolution through cultivation of them. 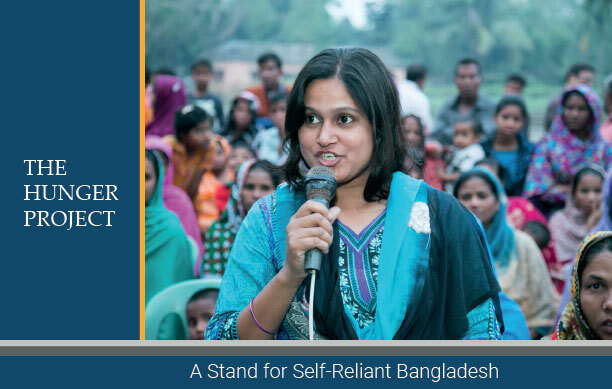 PAVE has created an opportunity to foster dialogue among diverse segments across a large number of communities across Bangladesh, and has engaged the population in peace building initiatives within their communities. A network of ambassadors for peace is involved in advocacy initiatives and in taking action to mobilize people for peace-building in their communities. To read PAVE Project Completion Report (2015) click here.